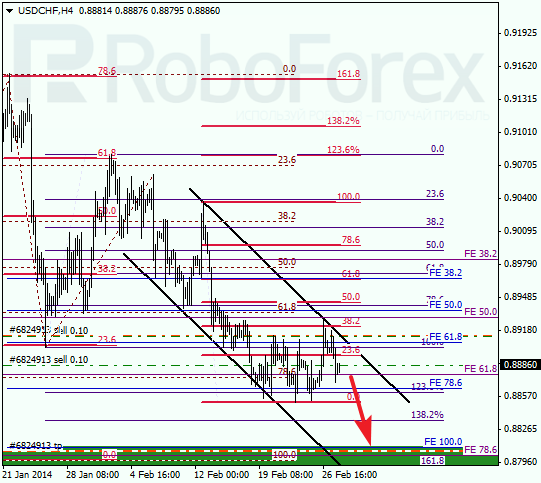 Eurodollar rebounded from local level of 38.2% and started moving upwards. During correction, I opened another buy order. Target is still near several upper fibo-levels at 1.3800. 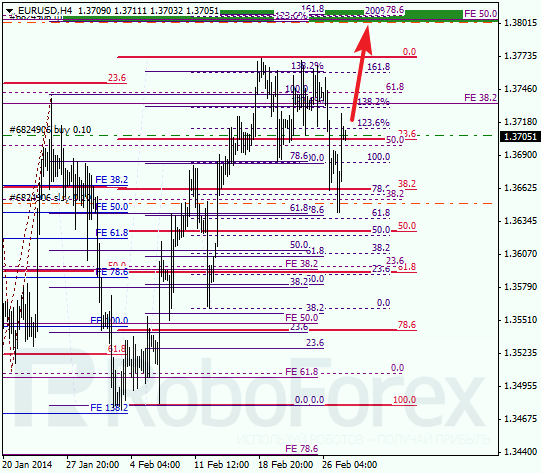 According to analysis of temporary fibo-zones at H1 chart, upper levels may be reached in the beginning of the next week. Possibly, after reaching them, price may start new and more serious correction. 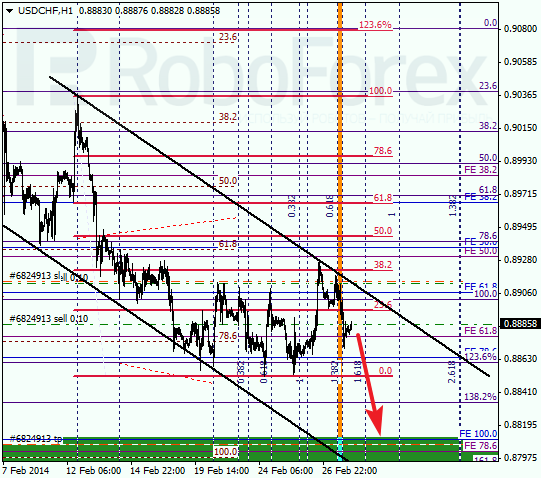 Just as we expected, Franc rebounded from local level of 38.2% and upper border of descending channel. During correction, I opened one more sell order. Lower levels may be reached in the nearest future. 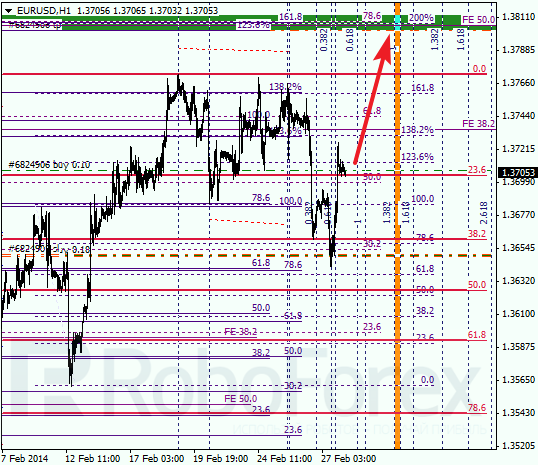 At H1 chart we can see, that price made a reverse right inside temporary fibo-zone. Possibly, pair may start reach new minimum on Friday. In this case, I’ll move stops into the black.